Body wax isn't the only thing you need when waxing unwanted hair from your body. In fact, you'll want to stock up on plenty of cloth strips to use with sticky rosin waxes. 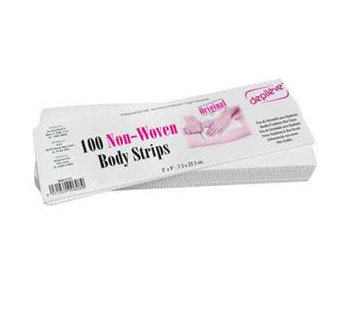 These Depileve Non-Woven Body Strips are perfectly sized for use while waxing the body. Size: 3" x 9".